“Top grade on snow and good also on dry surfaces“ are the strengths of Nokian WR D3 winter tyre according to ADAC (German automobile club). With good grades also in the test categories “ice”, “fuel consumption” and “wear”, Nokian WR D3 is on fourth position among 19 tested winter tyres. It is recommendable with the ADAC judgement “satisfactory” in the tested tyre size 205/55 R 16 H.
The Nokian WR D3 offers first-class grip and excellent handling for the varying winter conditions experienced in Central Europe. A virtuoso-like combination of safety and care-free driving enjoyment for small and medium-sized family cars. 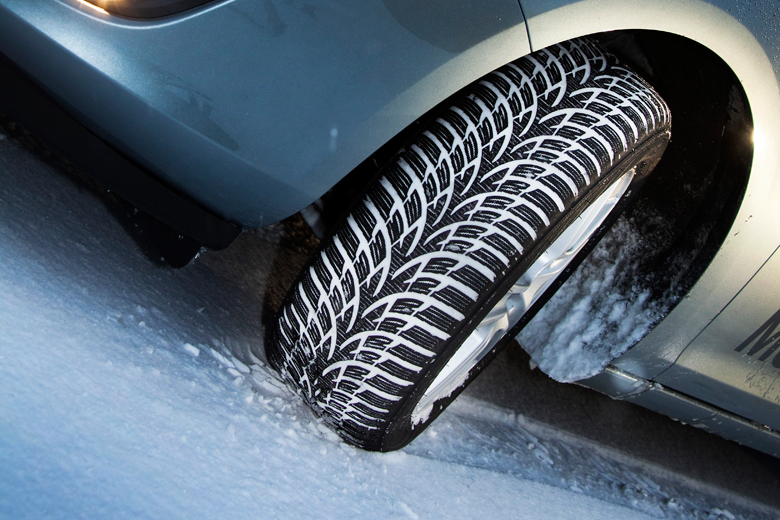 Nokian WR winter tyres, which have been optimized to meet the Central European conditions, are multiple test winners. The world´s northernmost tyre manufacturer Nokian Tyres offers a large range of winter tyres with the new models Nokian WR D4, Nokian WR SUV 3 and Nokian WR C3 van tyres as well as the new All-Weather tyre Nokian Weatherproof, rounded off with the sporty Nokian WR A3 for high-performance cars and multiple test winner Nokian WR D3. Numerous Nokian branded premium quality winter tyres sizes from 13 to 21 inches in the speed categories Q (160 km/h) to W (270 km/h) are available with Nokian Tyres Satisfaction. If the customer, for any reason, is not satisfied with the new set of Nokian branded tyres he/she is entitled to exchange it for a new set of tyres.